Syrian forces have liberated all militant-held settlements in the Damascus suburb of Eastern Ghouta, the military command said in a televised statement. A major Syrian motorway has been unblocked for the first time in seven years. “After a set of carefully planned battles and operations carried out by our armed forces in cooperation with loyal and allied troops, the control over all the towns and settlements in the Damascus suburb of Eastern Ghouta has been restored,” a Syrian Army statement said, as cited by Sputnik news agency. 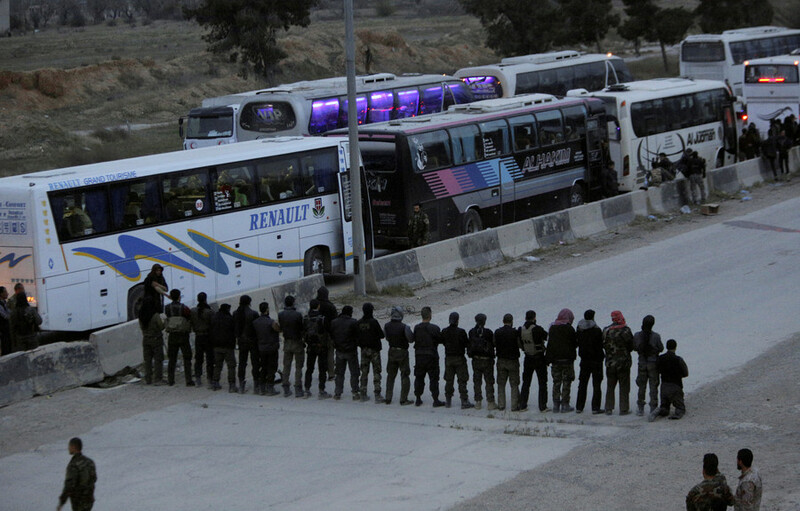 The army has also lifted the blockade of a main highway connecting the Syrian capital to the rest of the country, the statement said, as cited by SANA state news agency. “The victory in Eastern Ghouta ensured opening of the main routes between Damascus and central, northern and coastal regions, and all the way to the Iraqi border,” it said. 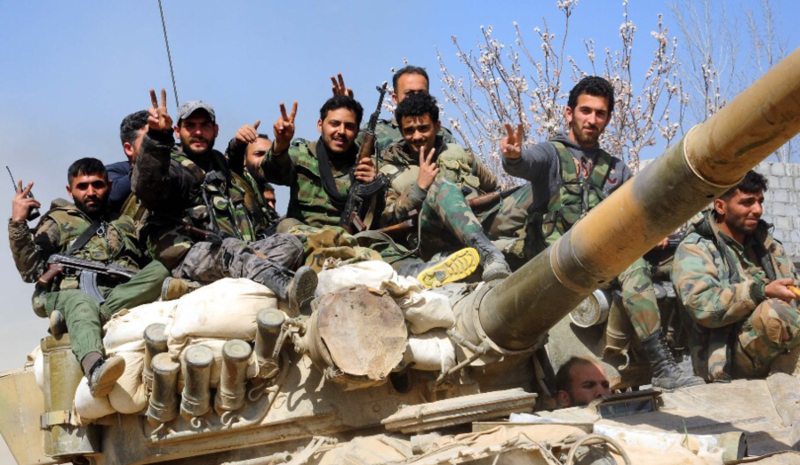 Syrian forces managed to defeat the militant groups holding Ghouta after their headquarters, ammunition depots, fortifications and weapons factories were destroyed, the army said. 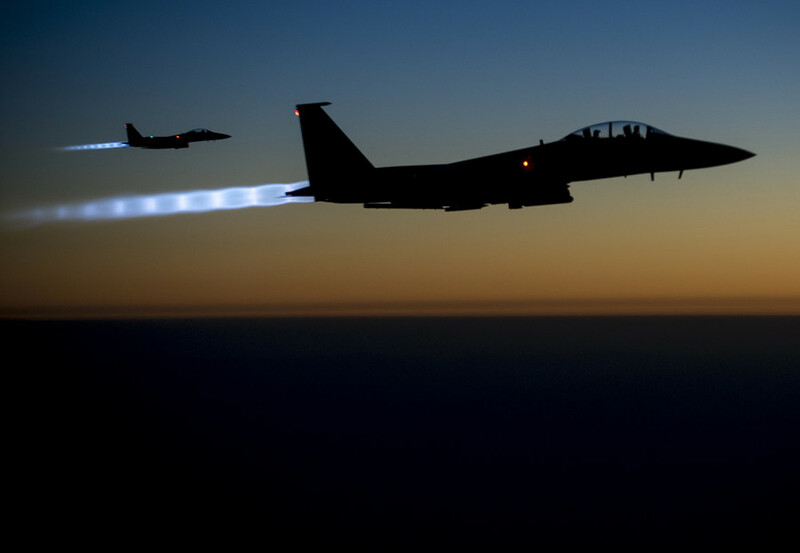 It added the military units are continuing the offensive on the outskirts of the town of Douma, driving militants out of the area. The Eastern Ghouta area has been under siege since 2012. In February this year, Syrian troops began their offensive to liberate the last militant-held stronghold located close to Damascus. 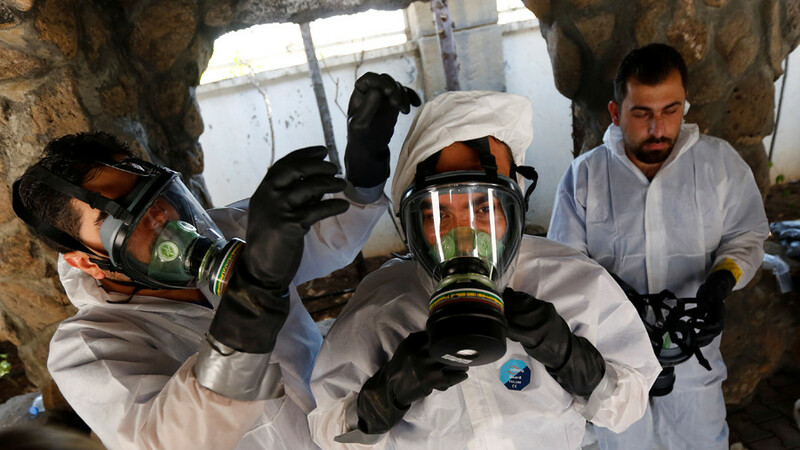 On February 27, Russia brokered the humanitarian ceasefire in eastern Ghouta to allow civilians to escape the area through a humanitarian corridor, several of which have since been set up. 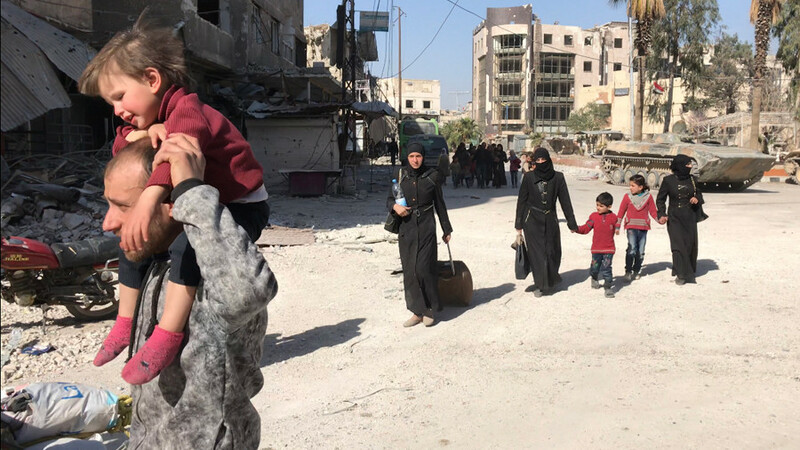 The cessation of hostilities was renewed several times, allowing civilians, as well as militants and their families, to safely exit the besieged area. The Russian military also helped the Syrian Army ensure security in and around humanitarian corridors, through which both civilians and militants were exiting. The troops thwarted dozens of suicide attacks targeting buses that ferried civilians out of the area, Russian Defense Minister Sergey Shoigu said on Friday. Forty-eight explosive belts were also seized during anti-terrorism raids. The efforts enabled at least 150,000 people to leave eastern Ghouta for safety, the majority of them being Syrian civilians suffering under the militant rule. As the area was being liberated, some 40,000 people returned to their homes. Those who have returned are receiving aid packages delivered by UN agencies and the Russian Reconciliation Center. 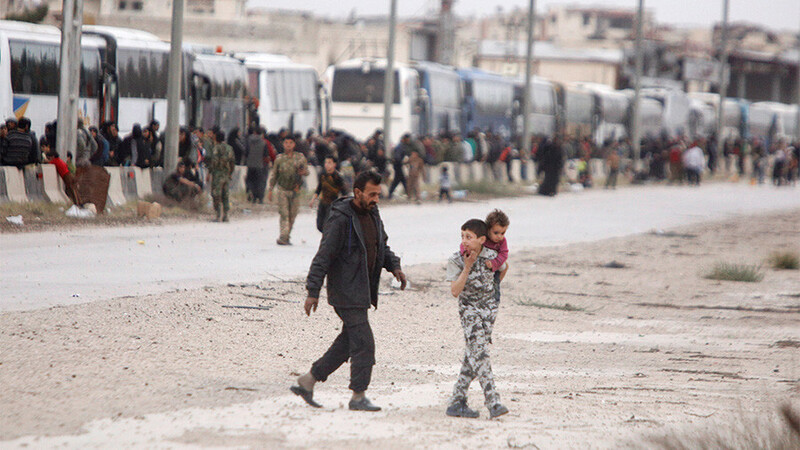 Syrian civilians who managed to flee eastern Ghouta through humanitarian corridors relayed the stories of atrocities committed by the terrorists. They told RT’s video agency Ruptly that the militants kept all the food and water for themselves, used people as human shields and employed threats and violence in order to prevent them from leaving the war-torn area. Life in eastern Ghouta will soon be returning back to normal in a way that is similar to what is now happening in Aleppo, which was liberated from militants with Russia’s help in late 2016, Russian Foreign Ministry spokeswoman Maria Zakharova said, reacting to the news. “We have a place, which was one of the last terrorist strongholds, cleared from militants… We have obvious progress, which is admitted by the UN and humanitarian organizations; we have the process of withdrawal of civilians [from terrorist-held areas] and the liberation of towns,” Zakharova told Russia’s Channel 5.